d a n i e l l e b u r k l e o : so you want to go thrifting and make a new friend? so you want to go thrifting and make a new friend? why didn't you say so sooner? 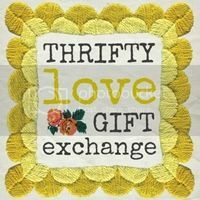 let me introduce you to the thrifty love gift exchange. and then let me introduce you to my girlfrans… who just so happen to be the hosts of this fabulous swap. 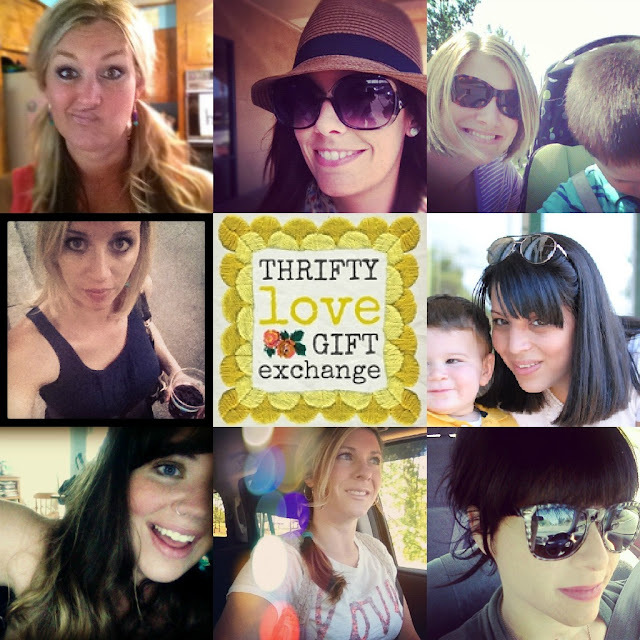 this is a fun new way to get to know some fantastic bloggers who share a love for thrifting! get paired up, hit the thrift shop for that perfect little treasure, and send it to your new friend. get your blog posts ready with a full report of your thrifty love for a blog link up on august 6th. hosted by hannah, sarah, jami, stephanie, heather, esther, carina, and moi. happy wednesday and happy thrifting! way to show us all up with your super cute picture collage. :) JK...you rock. Count me in! Just sent Carina an email.. really cool idea girls! You know I'm in for this!! Ooh. I love all the hope: handmade onesies but I have yet to see one on a baby until now! so cute! Ahhhh! She's getting SO big! Missed this but would LOVE to participate next time!